The New d:screet™ 4060 Miniature Microphones are the versatile workhorses that adapts to your needs. With eminent sound quality, a large range of accessories, and adapters available for all pro wireless systems, the d:screet Miniature Mics are the obvious choice for any application requiring a big sound and a small footprint. With very low noise and an extremely high sensitivity, the d:screet™ Miniature Mics offer the most clear, transparent, and natural sound available on the miniature mic market. The mics are capable of handling up to 134 dB peak before clipping, and with a linear response and low distortion and an extremely large dynamic range, they sound great no matter the application. The d:screet™ 4060 Miniature Mics are designed to withstand the toughest of conditions. Our unique Double Vent Protection System allows for a great resistance to humidity and sweat. Our d:screet Miniature Omnidirectional Mics design features a reinforced cable relief which is built to withstand the constant twists, bends, and pulls that are part of the everyday use. With a gold treated diaphragm and microphone housing plus a kevlar reinforced cable, the d:screets are made to endure. The d:screet 4060 Miniature Omnidirectional Microphones are the reliable workhorse you can count on. The d:screet™ Miniature Microphones are the versatile workhorses that adapts to your needs. With eminent sound quality, a large range of accessories, and adapters available for all pro wireless systems, the d:screet Miniature Mics are the obvious choice for any application requiring a big sound and a small footprint. The d:screet™ Miniature Microphones and accessories allow for a broad range of applications. Whether reproducing the voice or an instrument in either a film, theater, television, or other close-miking settings, the mics will not disappoint. d:screet™ 4061, 4062 and 4063 are acoustically identical to the 4060 but have been adjusted to handle higher SPL and to match some of the more sensitive transmitters on the market. The 4060 is also included in stereo and instrument microphone kit solutions. The original d:screet™ 4060 Miniature Mics without the reinforced cable relief are still available upon request. For wireless For wireless systems: Min. 5 V – max. 50 V through DPA adapter. 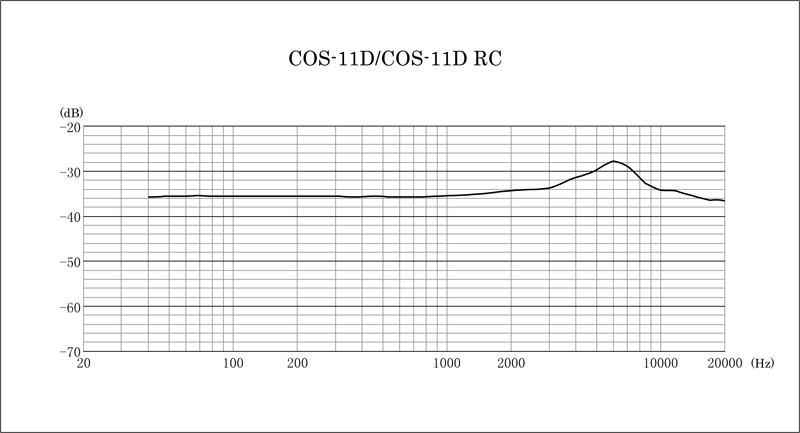 With DAD6001-BC/DAD6024/DAD4099: 48 V phantom power ±4 V for full performance. 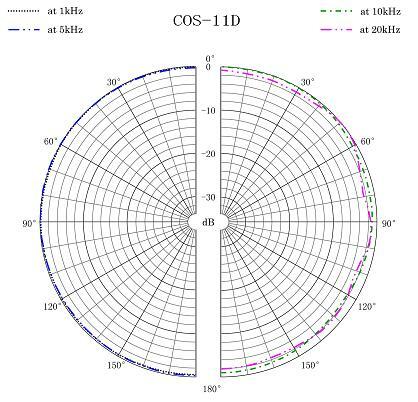 On-axis frequency response of Miniature Microphones. Dotted line is with high boost grid and solid line with soft boost grid. The New d:screet™ 4061 Miniature Microphones are the versatile workhorses that adapts to your needs. With eminent sound quality, a large range of accessories, and adapters available for all pro wireless systems, the d:screet Miniature Mics are the obvious choice for any application requiring a big sound and a small footprint. Originally designed for use with wireless systems in theater, television and close-miked instrument applications, the d:screet™ 4061 Miniature Omnidirectional Microphone is highly unobtrusive. Because of it's small size, these tiny condensers exhibit an exceedingly accurate omnidirectional pattern and therefore do not need to be aimed directly at the sound source to achieve quality pickup. The New d:screet™ 4061 Miniature Omnidirectional Microphones are available in four colors: black, brown, beige and white. With very low noise and an extremely high sensitivity, the d:screet™ Miniature Mics offer the most clear, transparent, and natural sound available on the miniature mic market. The mics are capable of handling up to 144 dB peak before clipping, and with a linear response and low distortion and an extremely large dynamic range, they sound great no matter the application. The d:screet™ 4061 Miniature Mics are designed to withstand the toughest of conditions. Our unique Double Vent Protection System allows for a great resistance to humidity and sweat. Our d:screet Miniature Omnidirectional Mics design features a reinforced cable relief which is built to withstand the constant twists, bends, and pulls that are part of the everyday use. With a gold treated diaphragm and microphone housing plus a kevlar reinforced cable, the d:screets are made to endure. The d:screet 4061 Miniature Omnidirectional Microphones are the reliable workhorse you can count on. It’s an ideal choice for a professional vocal artist in any live performance setting. It is tuned to accentuate the warmth and clarity of lead and backing vocals. Even in extreme conditions, the SM58 is tailored to target the main sound source while minimizing background noise. It is also very popular with djs and presenters in clubs and in small and large live venues. These are also ideal for use recording high SPL audio, such as exhaust noise on sports/super cars.